Beyond Insights > News > How to Prevent the Ringgit from Eroding Your Wealth? 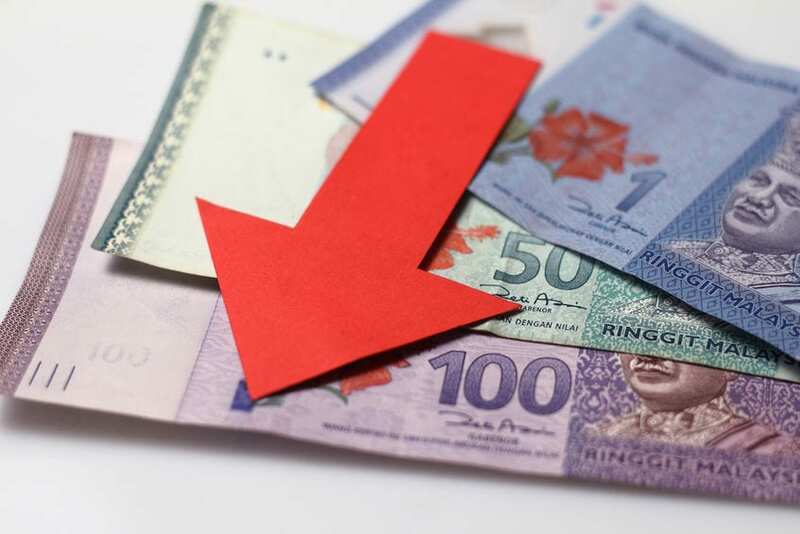 The decline of the Ringgit against the US dollar began in September 2015. Since then, the value of the ringgit kept on plummeting until it hit a six-year low at 3.735 against the greenback in March 2016. Times are certainly unpredictable for our local currency. While the impact of the weakening ringgit is mostly felt by those dealing with businesses in foreign currencies, it doesn’t change the fact that it is also felt by those closer to home. Take for example parents who are paying for their children’s education or those who are seeking for medical treatments overseas, these are the people in our neighborhood who are deeply affected by the movements in the volatile ringgit. On top of the decline in the value of the ringgit, there is inflation – another silent wealth eroding factor. The easiest option is if you have any foreign currencies that appreciate while the ringgit depreciate, make sure you keep them instead of changing it to ringgit. You can also purchase the foreign currency whenever it depreciates. While this approach may seem to be the most easiest to implement, it is not the most practical and safest if it involves buying foreign currencies for investment purposes. Investors have to consider the costs involved during purchase and exchange at foreign exchanges. Another option is to invest in properties. Depending on your affordability and credit circumstances, select the type of property to invest in and make the purchase in cash or using a flexible home loan. Buying a property in a good location and at the right price could be a good hedge against the weakening ringgit or rise in inflation. Considering that property investments are usually for the long-term, investors can rent out the properties and later on sell it when the price is right. For those who would like to explore on indirect properties investments, REITs would be a good option. Generally, REITs invest in properties that generate rental income, such as commercial buildings or shopping malls. The rental income is then paid out to the investors as dividends. With a low entry cost and fairly stable dividend yields, REITs are often seen as good investments. Bear in mind that resident and non-resident individuals will be subjected to 10% withholding tax. Fancy having a shot at the stock markets? Go for stocks that are more resilient or stand to benefit more from a higher US dollar due to the volatility of the ringgit. Choosing stocks as an investment option can be more expensive and risky as compared to other types of investments, but the key is to choose the right stocks and hold on to them. In the long run, stocks can potentially yield far higher returns. An alternative to stocks are bonds. Being one of the safer fixed-income options, bonds allow investors to lend money at a fixed time period. The benefit of buying Malaysia bonds is the bonds are exempted from interest income tax and capital appreciation. In addition, this form of investment is more suited for those who are able to commit to a minimum initial investment of RM1000. The advantage of using this approach is it helps investors to diversify their investments from the ringgit base to the foreign currency base, thus helping them to reduce the volatility of holding all of their assets in a single currency. In terms of ROI, this type of investment also provides capital returns and foreign exchange returns – provided the foreign currency appreciates against the ringgit. Whether you are new or experienced in investing, it is recommended to have a diverse portfolio – a healthy balance of high, medium and low risk investment options.